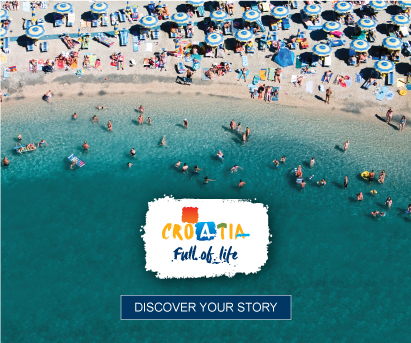 The Crikvenica Riviera is made for you! If you love the sea and nature, enjoy the sun on attractive tidy beaches, and like to learn about local history and traditions, we have it all – and much more! The Crikvenica Riviera is one of the most scenic parts of the Adriatic coast. It is a meeting point of the sea, the green hinterland of the Vinodol valley, and the continental wooded areas with a climate that provides perfect refreshment in the summertime. The area has been attracting visitors for centuries. The distinctive identity of the Crikvenica Riviera includes traces of antiquity, local museums and galleries, fine food, good wine, and friendly local people who are committed to tourism, the sea and fishing. The sun, fresh air, the scent of salt, and the green parks and promenades are just some of the reasons to visit the Crikvenica Riviera, which is made up of a row of small charming coastal places: Crikvenica, Dramalj, Jadranovo and Selce! Visit them all! They are different but at the same time in perfect harmony. Let everything that we've written, and everything else that you'll discover on your own, make your stay on the Crikvenica Riviera a truly memorable one! You've already taken the first step on your journey to the Crikvenica Riviera by reading this text. The next one is to browse our website and discover the places that you can visit if you want to have fun, relax, dine,and much more. Discover what's on offer and visit the Crikvenica Riviera!